Access to health care in the Amazon region of Peru can require more than a day’s journey on the Napo River, which increases the risks to the lives of mothers and children. Sub-Saharan Africa accounts for 80% of the global malaria burden. Malaria remains a major killer of children under five years old, taking the life of a child every two minutes. Over 95% of TB deaths occur in low- and middle-income countries. In one year, an estimated 1 million children worldwide became ill with TB and 250,000 children died of TB. At Mission Doctors Association, we want to change this, and we want you to help! 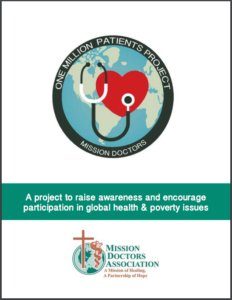 The One Million Patients Project was established by Mission Doctors Association to raise awareness about global health and poverty issues to encourage youth and adults of all ages to get involved and make a difference. 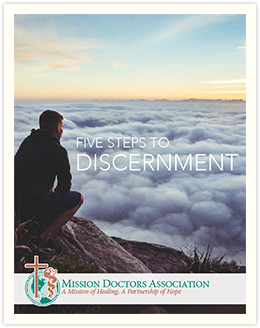 Sign up for our free Ministers and Teacher booklet, which will give you ideas for fundraising, talking about Catholic Social Teachings with your students, and instilling a spirit of gratitude.